The weekend after the NFL Championship games and before the Super Bowl is a football dead zone that is normally filled by the Pro Bowl game that most of the players don't take seriously and most football fans don't care to watch. It also happens to be a good time to put on a Tecmo Super Bowl tournament and this year there are three in different time zones for people to scratch that football itch. With that, let's take a look at this Saturday's upcoming tournaments in Seattle, Green Bay, and New York City. 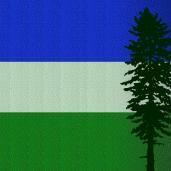 Last but not least is the very active PACIFIC NORTHWEST TECMO GROUP, known to many as the PNW. Long time member @DT. has come up with PNW HONBASHO I - BEHIND THE WOODEN SHED introducing some radical ideas. Play will start first with groups based on skill and then matchups will be determined based on your record and rank coming from these groups. If that wasn't enough action for you, the competitors will also be playing regular season games and whatever matchups might occur on the system they find themselves at. The plan is to end in a tourney that should culminate in championship games played during Super Bowl matchups. Show up and you're in. Find out more from the forum thread. Yeah! Big weekend. If it wasn't for this, I might be tempted to hop on a plane and mix it up with @RetroNathan or @Bad Moon Rison two of my favorite Tecmo homies. Good job Knobbe attempting to break down our event, which I have designed to sound as confusing as F. We are very excited about the potential of this format and it should be a very good time! (It always is) Anyone in the PNW, I encourage you to come out to Greenwood Saturday and get involved! Edited January 25 by DT.